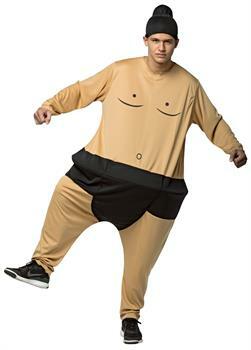 Get some BIG laughs with this Sumo Hoopster Adult Costume. Have a friend also get one and see who the champ is. Includes a one-piece costume with wire waist.